Regions will be restarted if they have been running for more than 10 days on Tuesday (Main Channel) and Wednesday (RCs) regardless of whether or not new code is being deployed, for the general health and well being of the Simulators. Nothing beats turning it off and then on again … once in a while. 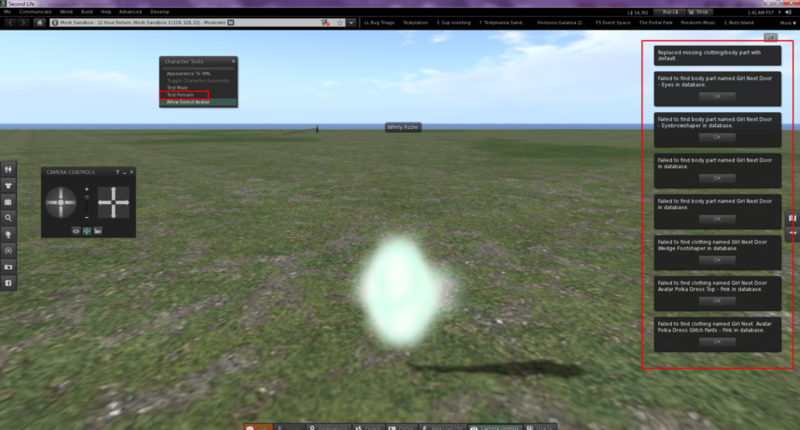 If you are using Firestorm Version 5.0.7.52912 (only this version), this will affect your Second Life experience. No inventory, ergo avatar cloud. Um... Caleb? The GSP says that rolling restarts for the Main Channel are underway. Now...normally when this occurs I ask "why"? Except that Main Server Regions WERE restarted last week, so they "shouldn't" be more than 7 days old. So, miscommunication or FUBAR? Sorry guys, RC Magnum will not roll tomorrow. Will check what goes on there instead. Better luck next week !! Thanks, Caleb. Not sure what's going on. FS 5.0.7. does not have AssetHttp implemented, yet I was able to fetch an alt's inventory even after a cache clear and logging in directly to Mesh Sandbox 3. I was expecting something different from logging in with our current release. I hope to catch up with you on Thursday. In my opinion, Lindenlabs would have to shut down the UDP service in a sweeping hit across the grid. Alone to make people visibly aware of how important it is to perform updates and not stay out of laziness, stupidity or ignorance with outdated programs until they are deactivated by the system and then they have to do the update to login again. I´m sure Firestorm and all other TPV will get a lot of Questions in the Supportgroups only cause that and thats only cause the User are to stupid to read the Updateinformations. I tested with the LL obsolete platforms viewer, which doesn't have asset-http support. I cleared cache & logged into Mesh Sandbox 3 on Aditi & the results were not pretty. My inventory all fully fetched, this didn't seem to be a problem. 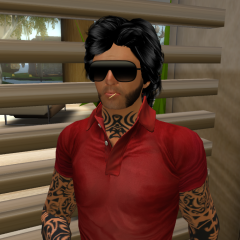 However, my avatar would not rez, no matter what I tried to wear. Attempting to replace outfit with the default female avatar resulted in this & avatar still a cloud. Attempting to play any sound from inventory silently fails. Attempting to play any gesture from inventory fails with "Unable to load gesture". Attempting to play any animation from inventory silently fails. You cannot see any animations other avatars are playing either. Landmark creation appears to work fine & newly created landmarks do work. I was surprised about this as I thought landmarks were now delivered from the CDN. Edit to add: same problems seen on Firestorm 5.0.7 (52912), which doesn't have asset-http support. No roll, and there's a restart if it's been over 10 days, but LeTigre was just done 7 days ago, and Lapara just went offline. Not that I'm complaining, it probably needs it from me, but I just wish I knew to expect it. My previous train report looks corrected. Actually, they seem faster than before, about 9-10 mph and not 8-9 as I thought they used to go. But definitely not at 4MPH. But, it looks like everything is much smoother now. I was having a hard time with the EEP Beta viewer and any type of settings at medium. Right now it's essentially tolerable to use. Prior to the restart I couldn't really function with bells and whistles turned on. Update on the sim performance. Further to this issue of Restarts on LeTigre, Wirtz sim has been restarted no less than FIVE times in the past 90 minutes and with less than the usual 5 minutes warning, to my certain knowledge two warnings were less than 120 seconds. I know that restarts sometimes do the "London Bus" trick and go around in pairs, but 5?? What has been going on? It's played havoc with business on this sim today. And so we get more restarts today...oh goodo, another day ruined by restarts.. How many should we expect on Wirtz today? 5? 10? OK I assume more EEP bugfixes. Sheesh, if it was THIS broken why in the name of the Global Standard Deity did you roll the bad code in the first place? Thankyou for pointing that one out Willow, I had not seen it yet! Well, so now we know and it was definitely in our best interests today. Just a shame about the kerfuffle on Wirtz yesterday. Perhaps I was a bit antsy about the extra roll as a result of some less than moderate comments from regular visitors to Wirtz yesterday. For that I apologise. No question, it can be disruptive at times. There's also no reason you or your guests need to suffer unreasonably during events. Just contact support to have the region moved to the main channel. You don't need a board meeting nor a majority consensus of all the parcel owners on the region. Particularly if they aren't even around during those times the region is being rolled. Most won't even notice or know the difference. Save yourself and your guests the aggravation. Updates are more important than a couple of people parking somewhere in a store, jiggling their asses in a disco, playing idiotic "gestures" and only burdening the region with pointless scripts that drag them to themselves. The 15 minutes that the update lasted should not really matter if it fixes bugs. Claiming that the day is completely destroyed by this, or inciting people to burden Linden with rolling the region on Main Chanel is homemade idiocy beyond compare. Be glad that Linden takes the region only for a maximum of 20 minutes from the network and not as before where SL was completely turned off for 6 - 8 hours. I did that years ago, and LL moved my home region to the main channel. It's one of the many things I'm grateful for. If that were the case, then the only regions that would be on the beta sims would be the abandoned parcels that house only snotty freeloading squatters. As much as I'd like to make them miserable, I don't think they deserve to have all the fun. Regions come and go, and are moved from channel to channel. Not everyone is cut out to be testing guinea pigs, nor should they be required to. I fail to see how hurling anger-infested insults at fellow residents about how they choose to spend their Second Lives helps in any way. If Linden Lab has acknowledged a bug in the server code as the reason for rolling back, can we not take that out on our fellow residents, but thank the ones who brought it to LL's attention? The 15 minutes that the update lasted should not really matter if it fixes bugs. Claiming that the day is completely destroyed by this, or inciting people to burden Linden with rolling the region on Main Chanel is homemade idiocy beyond compare. Be glad that Linden takes the region only for a maximum of 20 minutes from the network and not as before where SL was completely turned off for 6 - 8 hours. Miller, I don't know why you see fit to vent your spleen in here. Your remark is insulting both to my intelligence and to Willow's helpfulness. The "Ruined Day" to which I refer was Wednesday, not Thursday, and it was 5 restarts over nearly 2 hours, not a single one. And indeed as far as I was concerned the disruption was an annoyance, nothing more. However that was not the view of several others and it was that to which I referred. I have been in SL long enough to remember the total disruption updates caused 10 or so years ago, not to mention the regular hardware AND software failures that plagued Secondlife. While I'm at it, we moved Wirtz to the LeTigre RC channel some time ago for very good technical reasons, so a move BACK to Main Server would have no benefit to us. It does depend on what somebody is doing, and what timezone they're in. For an example of activities that can be messed up by the rollouts, and they usually avoid rollout times, have a look at the yacht racing on the Blake Sea. Sim-crossing is an essential part of that, and if a sim goes down for a restart at the wrong time it spoils everything. Sim crossing also depends on the Linden Lab network, which is under extra load during rollouts. A little bit more progress reporting from Linden Lab might help. We just get a starting message and a completion message, no indication of whether the process is running fast or slow. I don't know if the RC rollouts are run one RC at a time, but if they are it could be useful to know when each is completed. Some of the don't-do-this messages are very generic. Don't rez objects, don't spend L$, things like that. They're playing safe, but there's a lot more in all this than just the restarts. And then we get something like Wednesday was, and Linden Lab's mushroom farming efforts go into overdrive.